A swampy backyard, the odor of sewage, or backup into your home – these are clear indications of an issue with your septic field. You want a quick, effective solution before the problem escalates. Consider septic field restoration. Replacing your failing septic field is an expensive, involved process. The exact cost depends on a number of factors – the size and accessibility of your field, the type of soil you have, and the cost of local permits necessary for the job. Ignoring the problem is not an option. Statewide Environmental Services LLC offers septic field restoration services for just this reason. Our firm was established to provide cost-effective, efficient, expert solutions to on-lot wastewater systems. We specialize in septic field replacement alternatives, such as our septic field restoration procedure, utilizing the Terralift machine. 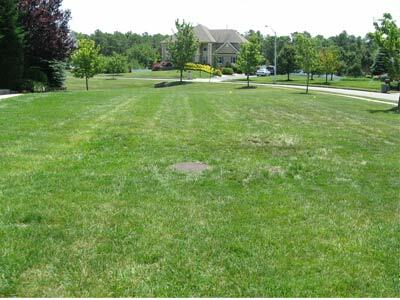 Statewide Environmental Services LLC can revitalize your septic field in one day or less, without field replacement. We offer a septic field restoration process which is designed to restore your field to its original operating condition. Our restoration process starts with the pumping and inspection of your septic holding tank. We then utilize a low-pressure hydrojet to evacuate and clean your outlet line. Next, we insert a septic camera locator to inspect the system’s outlet line and precisely locate it. On a conventional system, we will locate and expose your distribution box for inspection. Next, all septic outlet lines (laterals) are low-pressure hydro-jetted and waste product is removed by the pump truck on site. A camera locator is then inserted in all laterals (septic lines) for visual inspection and precise location. A direct-push drill (Terralift) is then used to probe your field and obtain a soil sample for visual inspection. The sample helps determine if your absorption area (septic field) is suffering from a bio-mat issue, compaction issue, or field saturation. Once the site-specific malfunctioning condition is assessed, the Terralift direct-push drill is then utilized to fracture the soil at a subsurface level. The Terralift direct-push drill uses a narrow probe to penetrate the soil in your septic field. The probe sends a blast of compressed air into the soil, creating fissures for liquids to pass through. The Terralift fractures the soil in a controlled burst, outward and upward towards the surface. While your septic field (absorption area) is still newly fractured, EcoHancer, a liquid, peat-based bacteria stimulant, is introduced into your system. Septic restoration can be performed on conventional septic systems, septic trench systems, septic chamber systems, pressure-dosed fields, and around seepage tanks. The procedure comes with a three year warranty, which exceeds most warranties on a new septic system installation or field replacement. Where required, septic field restoration is a permitted repair conducted under engineering oversight and officially inspected. When the Terralift fracturing is completed, your septic field is permeable throughout, allowing effluent to flow equally and your septic system to once again function as designed.